Former Miami police Officer Schonton Harris pleaded guilty Thursday to her involvement in a drug trafficking conspiracy, the FBI announced Friday in a news release. Schonton Harris pleaded guilty to conspiracy to possession of cocaine with the intent to distribute. 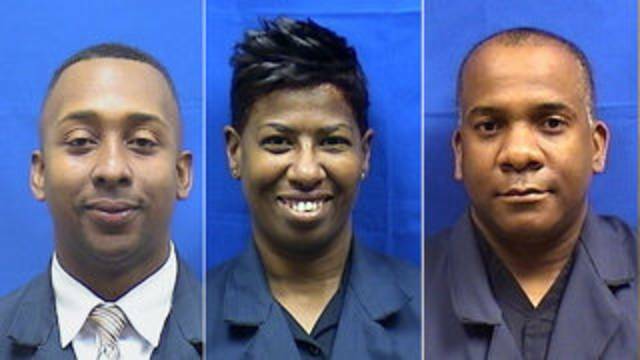 Schonton Harris, Officer Kelvin Harris and Officer James Archibald were arrested last October. According to a criminal affidavit, Schonton Harris, a 20-year veteran of the police force, agreed to accept cash payments in exchange for protecting the activities of drug traffickers and money launderers. The affidavit said she recruited Kelvin Harris and Archibald to participate in the scheme. The FBI said Schonton Harris was paid a total of $17,000, while Kelvin Harris earned $10,000 and Archibald made $6,500. Federal agents began investigating the three officers after Miami Police Chief Jorge Colina received a citizen complaint. Agents said the people the officers thought were drug dealers were actually undercover agents or cooperating witnesses. In one instance, investigators said, Schonton Harris was paid $1,500 for providing an undercover FBI agent a Miami police uniform and badge that would be used by a hit man. She is scheduled to be sentenced April 3.